Welcome to our company website. Our fully insured company offers top level moving services to private and business customers. We operate in the area of Hornchurch and are locally based, but we’re also licensed and in fact carry out relocations all over the UK. 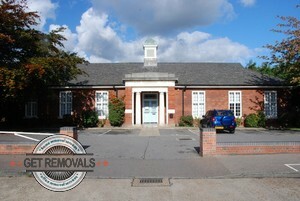 We offer comprehensive domestic removal services and safely relocate any housegold. Throughout the years we have moved studios, apartments, semi-detached and detached houses, mansion and estates, so you can be sure that we will manage to move your home smoothly, quickly and without any hiccups. Be sure to explore our website to learn more about all other services we offer. We’re equally capable of doing commercial relocations, do single and extra heavy item removals or do other more specific jobs like door-to-door deliveries, furniture collection, inter-city moving and others. Take into account that we rent out our vehicles at highly affordable prices, so have no worries that you will have to spend all our savings to get one. 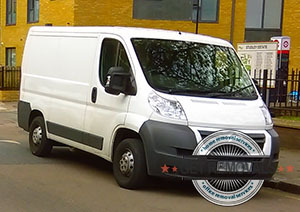 Keep in mind that we have fitted every single one of our vehicles with top notch GPS systems and safety features. Having convinced you we’re the team to get to handle your upcoming removal in Hornchurch, don’t waste any more time and give us a call today so that we can begin planning and organising your move. You can contact us over the phone or via email and we’re available 24/7. As we said above we are seated in the London area of Hornchurch. The area is classified as a suburban town and is located in the northeastern parts of the English capital. The area is part of the London Borough of Havering and lies in the RM11 and RM12 postal code districts. Charing Cross, London’s primer and most noted intersection is located at about 15 miles from the town of Hornchurch. In the London Plan, Hornchurch is recognized as one of London’s most important district centers and residential areas. The area is mostly inhabited by the middle and upper-middle class of London. Despite being a residential area, Hornchurch has its own retail area where numerous independent shops, eateries and public houses are situated. Queen’s Theatre is arguably the most famed and visited landmark of the area. The theatre was founded in 1975 and has a capacity of 500 spectators.